Though we have covered all the distinct characters in both Hiragana and Katakana, there are additional variations and sounds that still remain to be learned. Voiced consonants are consonant sounds that require a voice, creating a vibration in your throat. 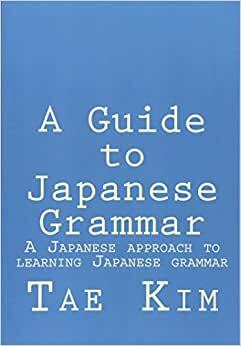 A number of consonant sounds in Hiragana and Katakana can be changed to their voiced counterpart by adding two small dashes to the upper-right corner of the character; namely the “k”, “s”, “t”, and “h” consonant sounds. There is also a semi-voiced consonant sound “p”, which is created by putting a small circle in the upper-right corner of the “h” characters. A consonant can precede the three y-sounds: 「や」、「ゆ」、 and 「よ」. This is done by attaching a small, half-size version of the y-sounds to the consonant+i sounds as you can see in the table below. While no single letter ends in a consonant sound （except 「ん」）, Japanese does have a way to carry over the next consonant sound back with a small 「つ」. This can be used with the consonants “p, k, t, s” to create a hard stop. For example, 「ひと」 (meaning “person”) would normally be read as “hi-to”. However, by adding a small 「つ」: 「ひっと」, the “t” consonant sound is carried back and is pronounced “hit-to” (meaning “hit”). We will now go over the long vowel sound which is simply extending the duration of a vowel sound. You can extend the vowel sound of a character by adding either 「あ」、「い」、or 「う」 depending on the vowel as shown in the following chart. For example, if you wanted to create an extended vowel sound from 「か」, you would add 「あ」 to create 「かあ」. Other examples would include: 「き → きい」, 「く → くう」, 「け → けい」, 「こ → こう」, 「さ → さあ」 and so on. The reason for this is quite simple. Try saying 「か」 and 「あ」 separately. Then say them in succession as fast as you can. You’ll notice that it’s easier to drag out the vowel. It’s important to make sure you hold the vowel sound to the full length of both characters because there are many similar words that are only different by the length of the vowel. For example, 「ここ」 means “here” while 「こうこう」 means “High school”. Here is a short list of example words with long vowel sounds. The long vowel sound is highlighted. There are also a small number of exceptions where an “e” vowel sound is extended by adding 「え」 or an “o” vowel sound is extended with 「お」. We’ll see example of these words in later sections. Long vowel sounds in Katakana are much easier. You simply need to use a dash: 「ー」. 「ふ」 is the only sound that is pronounced with a “f” sound, for example 「ふとん」 (futon) or 「ふじ」 (Fuji). That’s fine in Japanese because there are no words with other “f” sounds such as “fa”, “fi”, or “fo”. However, it’s a problem when converting foreign words such as “fork” into Katakana. This problem was solved by using small vowel sounds. For example, the small 「ォ」 can be attached to 「フ」 to create 「フォ」 (fo). “Fork” then becomes ［フォーク」. There are other gaps that are filled with this technique. The “v” sounds are also expressed by putting two dashes to the vowel sounds. However, “v” sounds are rarely used due to the difficulty native Japanese speakers have in pronouncing them. The following table shows the gaps that were filled using these techniques for Katakana.